Galco Gunleather is prepped to offer new holster fits for the latest pistols to come from Glock’s factory, the 43X and 48. 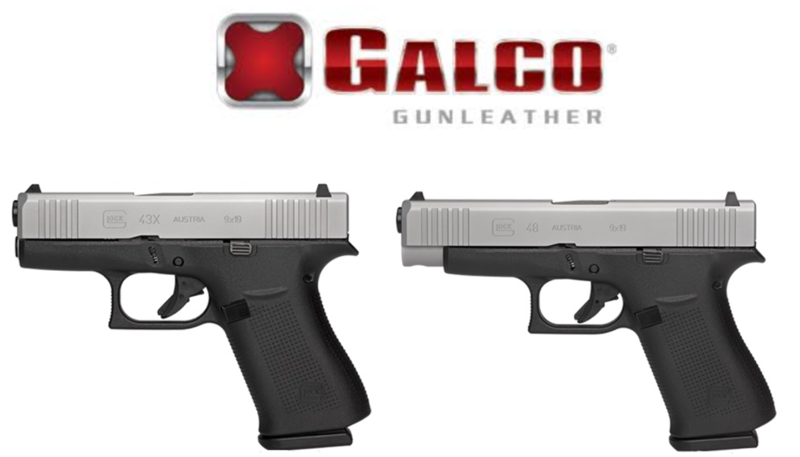 Galco has revealed several holsters in its lineup that will now accommodate the Glocks. For ankle carry fans, Galco introduces the Ankle Glove and Ankle Guard. For belt holsters the company has added the Combat Master, Quick Slide, Stinger and TacSlide. IWB carriers will have the choice of KingTuk series holsters as well as the Stow-N-Go, Summer Comfort, Triton 2.0 and Tuck-N-Go 2.0. Galco also offers the Miami Classic II shoulder holster as well as the Wraith 2 belt/paddle holster. 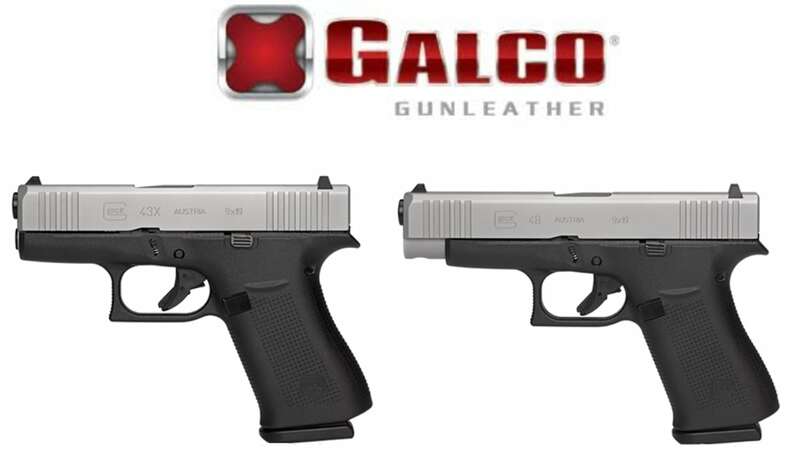 “With holsters in every price range and multiple carry methods, Galco can help outfit owners of the new Glock 43X and 48 owners with the highest-quality American-made holsters and accessories,” Galco said in a news release. Unveiled to the world Wednesday, the Glock 43X and 48 pistols bring a slimline look to the Glock series. Featuring a longer grip, the guns sport a stainless steel slide paired with a black frame. The pistols are set to make their official debut at SHOT Show in Las Vegas later this month. 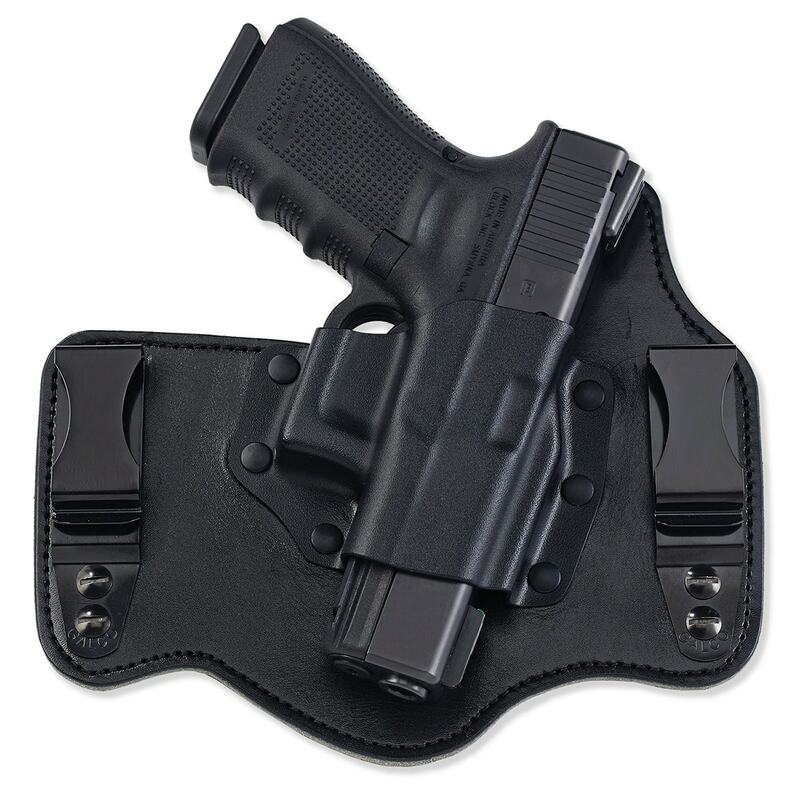 The Galco Glock holsters are available through Galco Gunleather with prices varying depending on style.